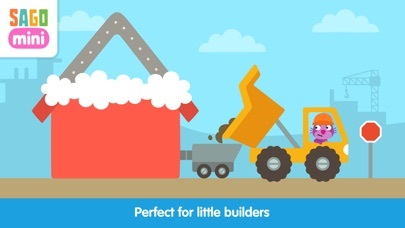 Drive a dump truck with Rosie the hamster! Pile dirt high and dig deep in the ground with diggers, cranes and bulldozers. 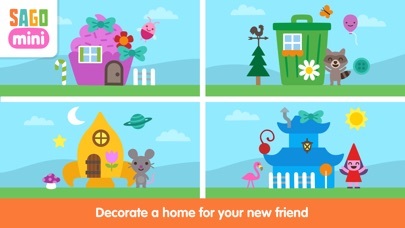 Build a home for a new friend! Choose a barn, a castle or even a cupcake-house. Don’t forget to add the finishing touches for the proud owner. On this construction site, kids love being the boss. 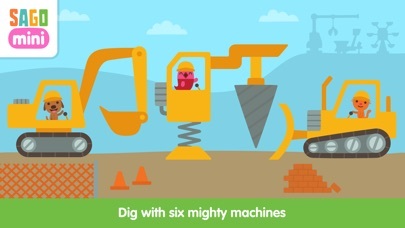 With six mighty machines and piles of dirt, you can build all day! 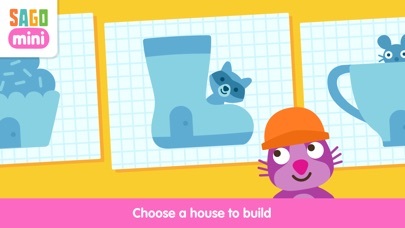 Part of the award-winning suite of Sago Mini apps, this app puts kids in charge. Sago Mini apps have no in-app purchases or third party advertising. These open-ended play experiences are the perfect starter apps for little ones. 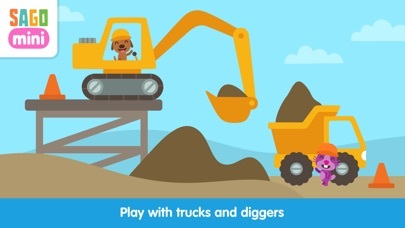 Features • Load dirt and drive Rosie’s dump truck • Play with 6 mighty machines • Build and decorate a home for a new friend • Full of funny animations and silly surprises • Recommended for toddlers, age 2-4 years • Play without wi-fi or internet - great for travel • No in-app purchases or third-party advertising, so you and your child are free to discover without interruptions! Sago Mini is an award-winning company devoted to play. We make apps and toys for preschoolers worldwide. Toys that seed imagination and grow wonder. We bring thoughtful design to life. For kids. For parents. For giggles.